The mobile web doesn’t just exist in your smartphone or tablet’s browser—there’s also an invisible but critical layer at the back end that powers mobile app services from content delivery to networking and collaboration. 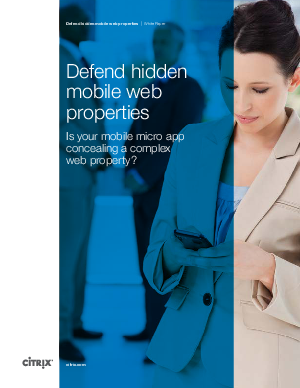 A micro app on a mobile device typically serves as the entry point to a web property. The combination of Citrix XenMobile and Citrix NetScaler offers enterprises an ideal solution that not only incorporates a comprehensive set of MDM and MAM features but also complements them with a market-leading, cloud-ready suite of capabilities for optimizing mobile web app performance, availability and security.